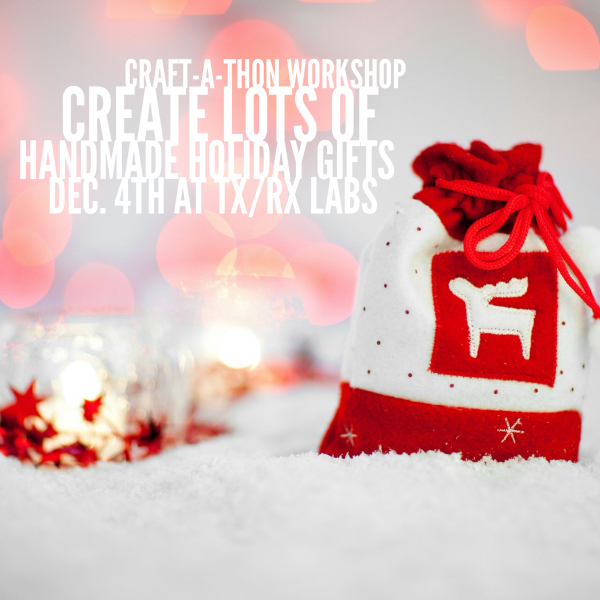 This workshop is called a Craft-a-Thon because that’s just what we’re going to do. We’ll create small handmade holiday gifts perfect for all your friends and relatives and for very inexpensive. This workshop is $29 and can be purchased here. Cocktails and Light Bites Provided + BYOB. Light bites by Greenhouse Catering Co. with a seasonal menu that changes each month. This month will feature waygu beef meatballs + sweet potato soup + goat cheese and honey stuffed dates + craft beer by Buffalo Bayou Brewery. TX/RX is a makerspace that allows membership access to 3d printers, a rapid prototyping lab, woodshop, machineshop, electronics lab and more. Our Pop Shop Workshops take place every first Friday of the month in the TX/RX Labs Art Building. This workshop is $29 and can be purchased here.